I’ve not read Wrighjt’s book but I’m afraid that I didn’t understand much of the above, which is the kind of thing which after a few minutes makes my eyes glaze over, and I lose the will to live. What does trouble me however, is the apparent need to portray the world as consisting of nothing more than sets of opposing forces – goodies against baddies – as if it’s some kind of Star Wars movie. I’m not sure the actual music really features in any of this, other than in caricature – the triumph of theory over experience. Then again, since I don’t understand it, I’m probably not able to say. I think that this is the paradox of this kind of music: you cannot on the one hand say that the music is very personal to the extent that the audience becomes irrelevant: "the pursuit of pleasure through making sound that is as truly one’s own making in that moment as possible. This makes it distinct from audience interest and from structures culturally known or self-prepared", and then blame society and the establishment for not being open to your music. If you want to change form, accept that you are somewhere in the vanguard, an adventurer who risks to get lost in the jungle and never return. Accept that you cannot change the rules and be appreciated by the society that lives by the rules. Accept that you will not get formal recognition from the very establishment whose rules you want to change. That's the choice from the start. If it's good, audiences will pick it up, even if they're small. Over time, these audiences may grow ... or not. Van Gogh sold only one painting during his lifetime. It may take time for society to catch up with the real artistic visionaries. At the same time, for every Van Gogh, there are thousands of artists of his generation whom everybody has forgotten, mainstream or avant-garde. Agreed. For musicians, it must be disappointing and frustrating on occasions, but I'm not sure there's anyone or anything to blame, however desirable that might be. It's just that most people don't like it, and I can't see that changing anytime soon. I don't imagine that anyone takes up playing this kind of music without realising that. "Whereof one cannot speak thereof one must be silent." Generally, the spirit of the book is not against anything but for the vast majority of musicians, whom I ask to look realistically at our common situation. To become one of the respected few is not only futile, but deadens our best musical impulses. Those I'm associated with are not motivated by cultural marginalization or rage against the machine, as found commonly on the cultural left, but by the pleasure found in playing, making sounds and interacting with others'. More specifically, what I would insert into this review is the historical point, that it is jazz played TODAY by contemporaries, sometimes called Classic Jazz, that is "capable of infinite reproduction." What is honored by the schools and jazz world is the very music that was so vibrant in the past, but by presenting it as the infallible set of models, that music has been made boring and sentimental. I am by no means anti-jazz. Secondly, I would correct the impression that I want or expect free playing to offend people. It's rather that we don't know if what gives us the greatest pleasure will also please others. We are joined with listeners in that sensual excursion into not-knowing. At present, what I and my partners do seems to please those few exposed to it. That exposure is limited not by distaste but by the configuration of music world institutions, which have an interest only in those who have signed up for a music career and accept its limitations. It's true that audiences tend to follow these institutions--prominent venues, the media, the hierarchy of leading figures, etc.--but those listeners are not the police. I have no scorn for those who don't show up; it's no skin off my nose. I'm happy with and not saddened or angered by the small audience, in fact I prefer it over what the major venues usually provide. Free playing is a collective practice, a matter of interactions, and the way things work now favors "interesting" individuals, the owners of their differentiated musical personas. I see no other way for this to change than for listeners to listen with their ears and assert their interest. Third, free playing is an approach, not an identity. There are players committed to what I outline, but none can be said to accomplish or represent it. There are no signs of what is and is not true "free playing," or reasons to debate what it would include, as there might be of a music genre. So it is no problem that people who say they play freely--a wide range, which would include jazz musicians--would not agree with this approach. Hi Jack, thanks for your reaction. As said before, the very reason for the existence of this blog is to give wider exposure to free jazz and free improvisation and other more adventurous types of music. Just like musicians who want to expand their musical language, there are also a lot of listeners who consciously looking for these new listening experiences. We hope to have our contribution to that. I also think that it is worthwhile to have this kind of debate on the music itself, even if not everybody has the same opinion, which is by itself enriching. I see no mention of an index in this book's table of contents. I associated Adorno's negative feelings for the hoi polloi (and my own, frankly) too much to you. Sorry about that: you're a critical thinker, for sure, but more of an American Transcendentalist, I think, than a Frankfurt Schooler in the end. And the Groucho was meant more to say that "free playing" has a tendency to stand against generic conformity to market expectations--that it continually evades congealing into stereotypical patterns. As for the "historical perspective" in your note, that is exactly what my review says, it seems to me, and names the same culprit/s. And I don't so much claim that you claim free playing offends the many; instead, I claim "art" offends postmodern consumers in late capitalism who do not see themselves reflected in its mirror -- or who are deaf to its interpellation. And I think my claims about the audience for free playing and the pleasures of it for both musician and audience chimes with yours in the book and in your note. And I believe I note that you, indeed, say free playing is not an identity. 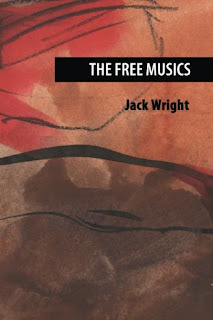 I say to play freely is to renounce an identity that "fans" of "jazz" might easily recognize -- that the position of free music and musician is that of an Other. I truly enjoyed interacting with your ideas in the book and collaborating here with the mind that formed them. I love digressive thinking, writing, and playing. I'm looking forward to catching up with you on your summer tour. Perhaps we can hash out the rest over a meal or a cocktail.